Thanksgiving was a lot of fun. 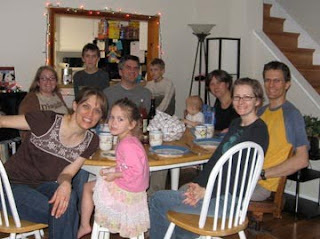 We really did have a house full of good people and good food. Because my parents were in Hawaii visiting my little brother for the holiday and my sister was with her boyfriend's family in Chicago, I was adopted by my roommate's family who came in from North Carolina and Michigan. 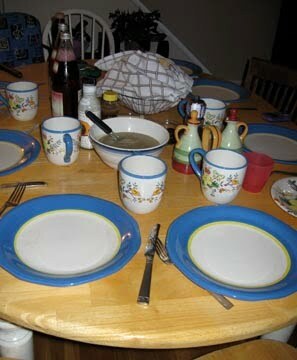 And of course after the food was devoured and the kitchen (almost) clean, we pulled out the books. 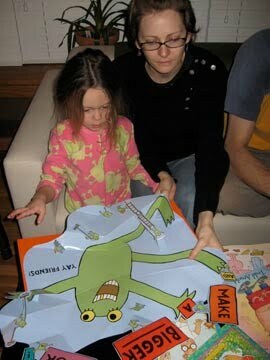 Melinda's three-year-old niece loved Mo Willem's new pop-out book Big Frog Can't Fit In. 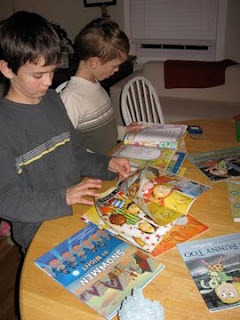 And the boys found plenty of books to occupy their time with as well. The next few days were filled with more adventures, fun and movies, and yes, even some writing and chores. So this holiday season opened up with a bang. Now I just need to get through my birthday, Christmas and the New Year. I've got a lot of fun stuff coming up and look forward to seeing my family again. I missed Christmas in Chicago last year, and I'm excited not to miss it again this year.